Conventional crowns require messy impressions and multiple dental visits. Skip this inconvenience and visit PDADental in the Financial District, Lower Manhattan for a same-day crown. The expert staff offers CAD/CAM technology to model and craft a crown in-house and insert it during the same visit. If you need a crown, pursue a same-day option by calling the office or scheduling an appointment online today. CAD/CAM is an acronym that stands for computer-aided design/computer-aided manufacturing. With this technology, the dental team at PDADental can fabricate precise dental restorations, including crowns, partial crowns, and bridges. The team uses a high-tech camera, specialized software, and a revolutionary milling machine to create your crown. 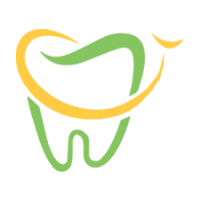 This technology provides you with durable, attractive, and well-fitting tooth restorations in one visit rather than the multiple visits that are required for conventional crowns. What’s Involved in Getting a Same-Day Crown? Same-day crown procedures begin with thorough cleaning and preparation of the tooth that is to receive the crown. The technicians then take a digital image of the tooth and the exact dimensions are sent to a special computer. The software creates a virtual restoration replacement for the missing areas of the tooth (or the entire tooth). The computer sends the information to the milling machine that carves your replacement tooth out of ceramic or composite resin. As soon as the crown is ready, the doctors at PDADental cement or bond it into place. They fit it to match your bite so the crown feels comfortable and natural. Same-day crowns are carefully crafted to match your smile. You won’t know the difference between your crown and your regular teeth. For more information about same-day crowns, call the office or use the online tool today to schedule an appointment.